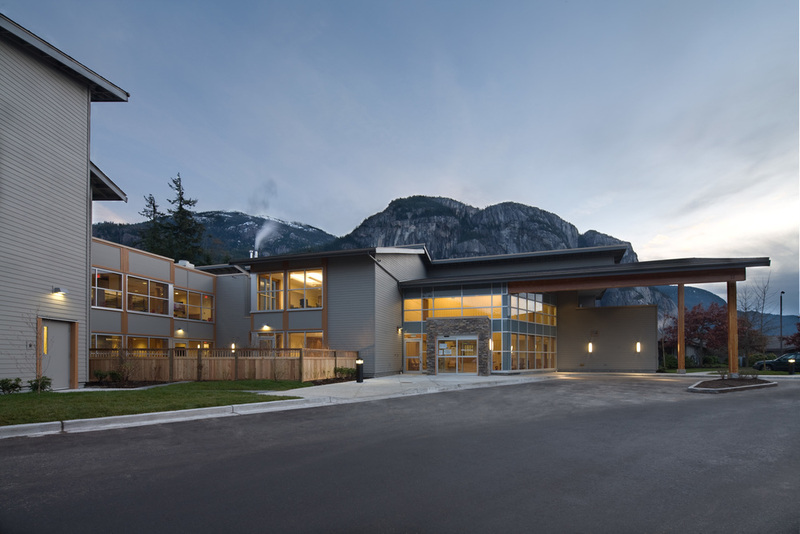 The Hilltop House Complex Care facility located on the Squamish General Hospital campus provided for a 52 +/- bed addition. 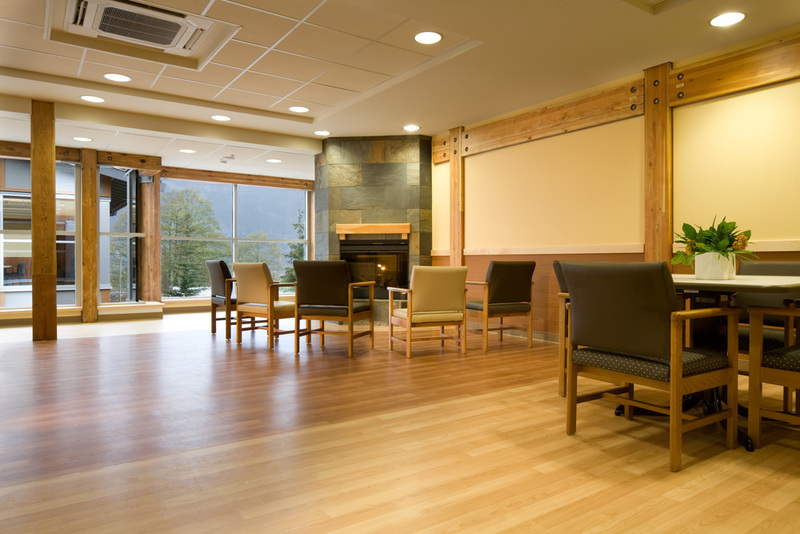 The expansion to Hilltop House offers an improvement and expansion of the complex care practice and will optimize operational delivery by design. By introducing gaming techniques, the design team engaged user groups in the planning of the new facility. Several design schemes based on the information gained from the users during this session were developed and synthesized into a final design which reflected a regional vocabulary and aesthetic. 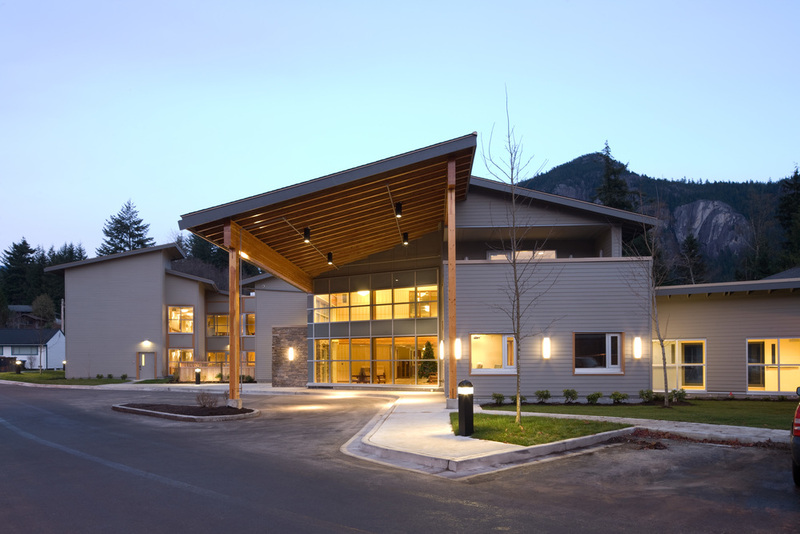 Built in wood and heavy timber, this new facility was intended to create a residential atmosphere for patients at the same time as fitting into a surrounding alpine residential neighborhood. 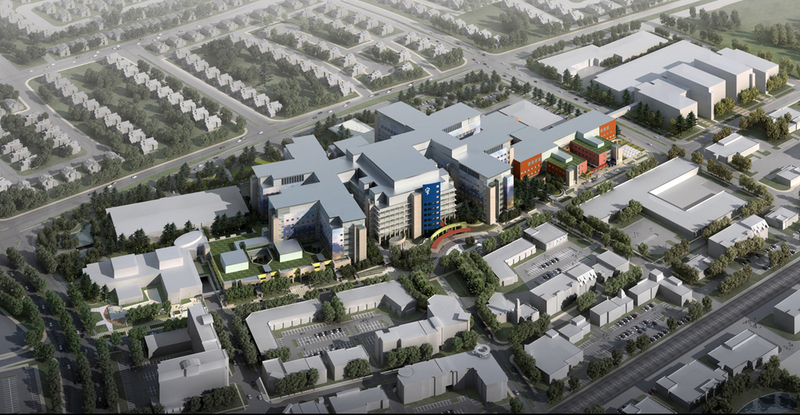 Master planning for the South Health Campus began in 2006, with the development of a placeholder program that determined area and phasing. 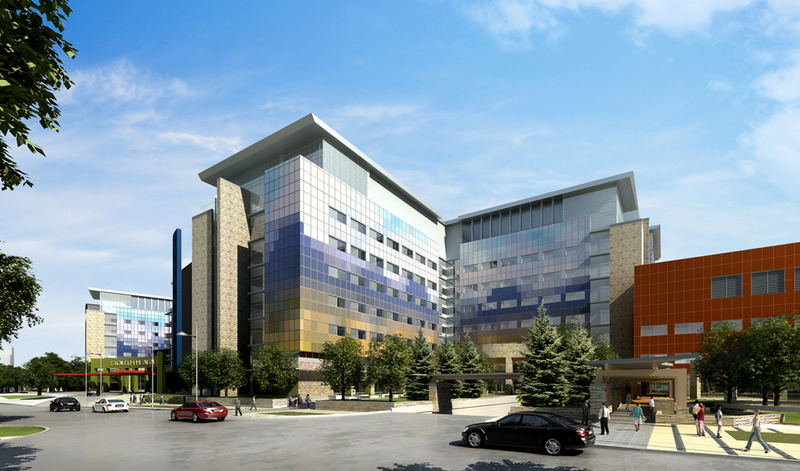 The much needed health care project was specifically targeted to address the needs of this rapidly growing sector in Calgary. Located in the southeast community of Seton, the 44 acre greenfield site stretches over two parcels of land. Urban planning of the community has made the campus a central focus, a commercial and retail hub, as well as significant medium density housing, including future LRT connections. With 644 inpatient beds, the centre offers specialized services that range from women’s health, mental health, pediatric and cardiac care, trauma and numerous other day hospital programs. All of these services were specifically selected by Alberta Health Services in order to address the needs of more than 800,000 outpatient visits a year. While the facilities do provide more general family centered care, mounting concerns surrounding chronic decease management and elder care in Southern Alberta are specifically addressed at the South Health Campus. The Fort McMurray Family Crisis Centre is a new facility with phase 1 under construction, intended to replace the current facility which is in poor condition, and increase Family Crisis and Health Services in the Woodbuffalo Region. 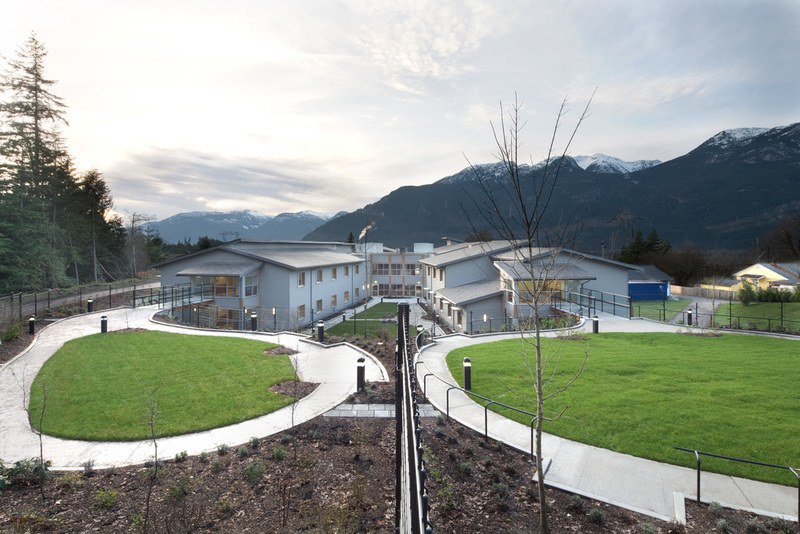 The two phase program provides for Crisis Intake and Intervention with 50 short term stay living units in a secure complex that includes a day care, dining and lounges with commercial kitchen, medical treatment and counselling services and administrative offices. The second phase provides 78 long term fully independent apartment units in a secured two story building for transitional living. The project design qualities speak to contemporary Regional Architecture in heavy timber and wood frame, steel and concrete construction.